@EWScrippsCo journalism evangelist, news leadership recruiter. TexCin. Distance runner, 13.1 in 1:45. Love orange Jeeps, beautiful Cincinnati. Marketer. Technologist. Entrepreneur. Musician. Dad. Super Hero/SciFi Geek. 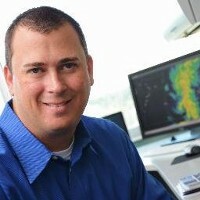 AMS certified meteorologist in the media. Host of WeatherBrains.